Erin Molan Anthony Bell: She's responded to Landry's accusations. Erin Molan responds to allegations of a 'fling' with Anthony Bell. 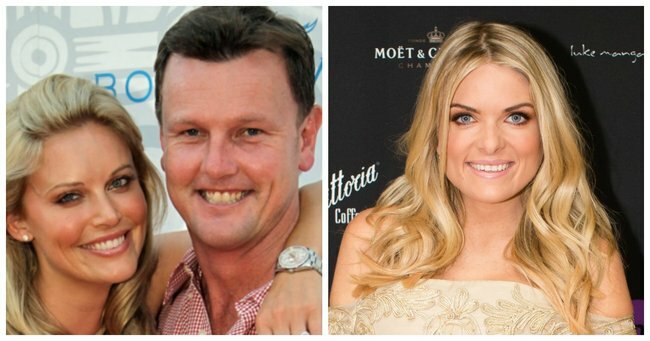 Sydney TV presenter Erin Molan says she’s “never had an intimate relationship with Anthony Bell” and her name is being “unfairly dragged” into a messy marriage dispute. “Erin’s relationship with Anthony Bell has only ever been strictly professional, both as a client and a crew member on Perpetual Loyal,” a statement issued by her employer, the Nine Network, said on Tuesday. It comes as a Sydney court was told on Tuesday about a text message from Bell’s estranged wife, Kelly Landry, saying “I know about Erin”. The message was sent after Bell won the Sydney to Hobart yacht race on December 28. Landry, a former model and TV presenter, and Bell, a celebrity accountant and champion skipper, have two daughters. Details of the pair’s marriage are being aired in court at a hearing over an AVO application against Bell. While the case is “incredibly sad” for the family involved, it has “absolutely nothing to do” with Molan, said Nine. Molan, 34, is a host on the network’s NRL Footy Show and last month announced her engagement to policeman Sean Ogilvy.